Are you looking to rent, let, sell or buy a home, house, flat or apartment in Fleet, Camberley, Farnborough, Aldershot, Sandhurst, Bagshot, Lightwater, Andover and all surrounding areas? 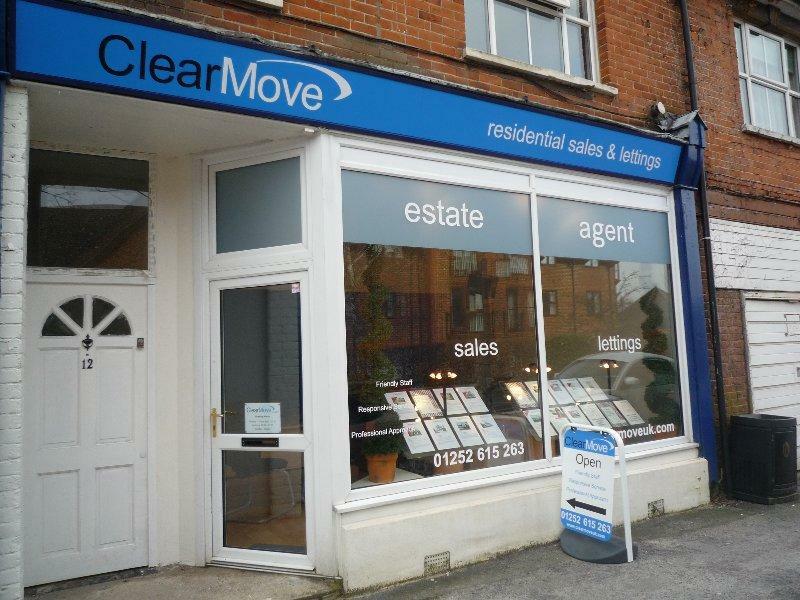 At ClearMove we provide effective sales and lettings solutions in a proactive manner. Our competent staff have in depth knowledge of the sales and lettings industry in your area; we study property trends to ensure we maximise your rental yield or sale price. Our team of staff are ready to assist you with your enquiry. Whether you are a landlord, seller, tenant or buyer looking for the best in customer service, please call our office today. Office of Fair Trading (OFT) approved code. Fleet, Camberley, Farnborough, Aldershot, Sandhurst, Bagshot, Lightwater, Andover and all surrounding areas. Please contact us to discuss our fees as we are constantly tweaking our fees to ensure we are competitive within the market place.